It would be fair to say the energy crop sector is not in a great place. There are about 3,000 ha planted at the minute. It is a major challenge to get new growers. There is strong competition for agricultural land enterprises. This combined with the poor experience of some early growers has understandably set a negative impression for potential growers. The author has been a member of a Teagasc tillage committee for the last few years. 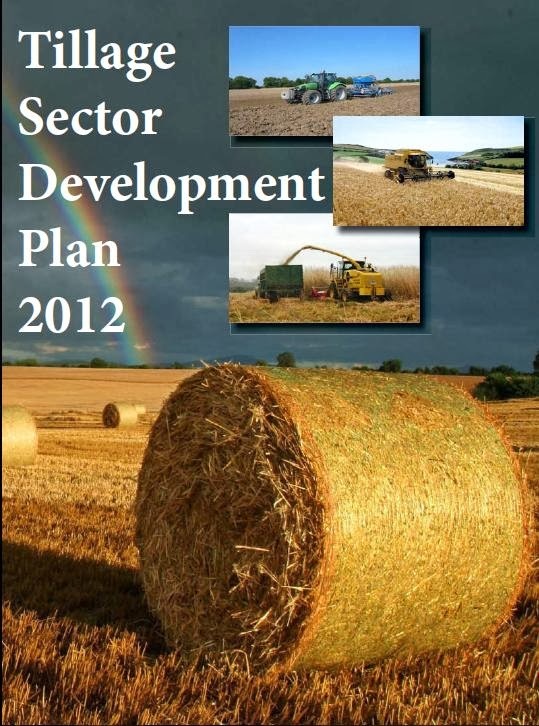 During 2012, this group took on the task of creating a Development Plan for the tillage sector (pdf). The plan identified potential for expansion in lots of areas. Additional market opportunities were identified, with potential increases in the area of cereals, oilseeds, sugar beet and energy crops. Altogether looking at individual crops, a potential to increase the tillage area by 221,000 ha was identified, which would represent an increase by over 50% in the area under crops. This poses a whole other set of questions, as all these crop enterprises would be competing for the same land area. A whole separate work stream has evolved in response to the problems of gaining access to land for productive agriculture – the challenges of an ageing farmer profile, high land price, very high conacre prices, farm fragmentation, farm management deficiencies combine to make changes in our farm structure and land-use pattern very difficult. Anyhow that is a separate group’s work – the tillage plan identified a potential market expansion for 67,000 ha of energy crops by 2020. I was asked to then chair a group convened specifically to consider energy crop market development. This group comprised 13 individuals from across the different parts of the energy crop supply chain – growers, planting contractors, harvesters, large end-users as well as the department of agriculture and energy. So why is this group motivated to engage in this body of work on energy crops just now if it appears the goose is half-cooked? If crops are being ploughed in, in favour of tillage crops with better margins at present? The simple answer is that the major market drivers for energy crops remain in place. There are strong policy signals in place supporting the growth of renewable energy and bioenergy. Our national and European renewable energy targets remain in place and are based on substantial growth in bioenergy by 2020. Looking beyond 2020, we have to anticipate deeper carbon cuts and an accelerated shift to sustainable sources of energy as we approach 2030 or even 2050. Apart from the existing biomass boilers around the country and boilers still to be installed, there are many other existing and potential new users of woody biomass. There are 3 panel board mills remaining in Ireland, 2 of them operated by Coillte. They have a continuous demand for pulp wood, both for their production raw material, but also as feedstock for onsite boilers. Some of these board mills are presently considering biomass CHP, which could impact on supply/demand balance of pulp wood in future. There are 3 large peat fired power plants, which in a previous energy white paper were planned to start co-firing 30% biomass by 2015. In reality, only the Bord na Mona power plant is co-firing, and recently the two ESB-owned plants have been put up for sale. A number of new stand-alone Biomass CHP plants are proposed around the country. REFIT3 allows for up to 100 MWe of these in the current framework. There are a number of large sawmills. All generate significant quantities of sawdust and other residues. Nearly all of them use biomass boilers on-site for kiln drying of timber. Some have installed CHP units and others are considering same. Some have installed pellet manufacturing lines for surplus sawdust. 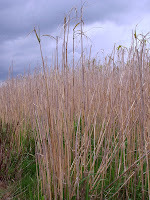 Any one of these plants could shift the dynamic of the regional and national biomass supply. Mainly due to new energy requirements, we are potentially seeing a 4-fold increase in demand for woody biomass. And this is based only on the sectors we know about. Perhaps new manufacturing facilities will require woody biomass for processing into advanced biomaterials – to make plastics, chemicals, transport fuel or other higher value materials. We could potentially see cement kilns using biomass, or even waste to energy plants seeking biomass feedstocks. So if we require lots of additional biomass where will it come from? This topic has been considered by COFORD, SEAI, DCENR and others in different supply modelling exercises. They all come to the same stark conclusion – that there is a gap between supply and demand. Their conclusion is that just over half the requirement would be met by either imported biomass or from purpose-grown energy crops. So this is the real reason why energy crops are important – we are faced with a choice between substituting imported fossil fuel with imported biomass – or developing indigenous biomass from energy crops or other new sources. There is a huge gap between the 3,000 ha in the ground today and the 67,000 ha expansion goal. The purpose of the energy crop group was to put some policy ideas together to accelerate the pace of development. We came up with some low cost, practical ideas and some ambitious policy ideas which would support this goal. They are in the stakeholders report which will be available on the Teagasc website. The main priority for all stakeholders was to ensure the investments already made in energy crop establishment are not wasted – and where no market is evident, new markets be urgently opened up to these early adopters. In some cases new infrastructure is required for harvesting, handling and drying of the product. 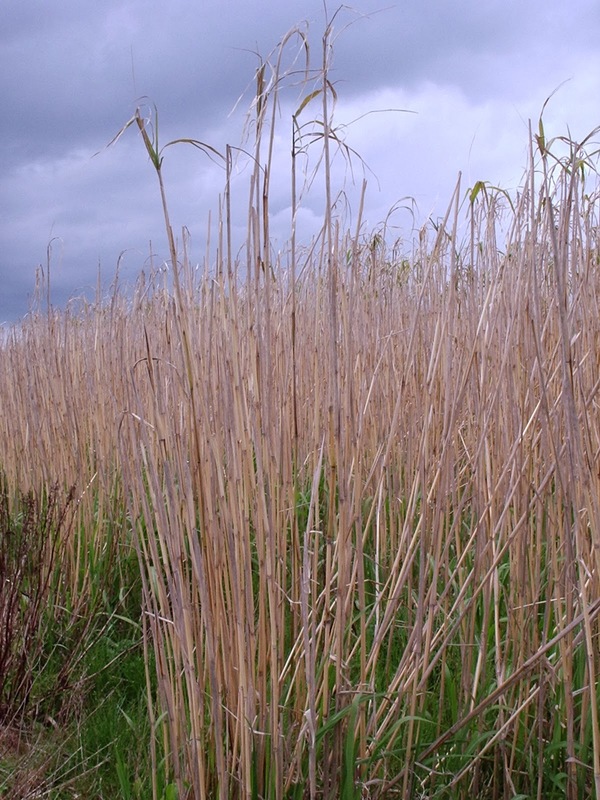 A dedicated grant scheme for energy crops infrastructure is required. New local markets for energy crops would develop with the introduction of any kind of renewable heat support. Since the removal of all capital grants for boilers, there have been few new projects to stimulate demand. A simple change to the definition of willow would facilitate additional revenue from sewage sludge disposal – at the moment there are significant permitting costs associated with this. A number of changes were suggested to the current Bioenergy Scheme, which provides establishment grants. The market needs certainty over supply. On the demand side there is a 15-year offtake agreement, but energy crop planting grants are renewed on a very short term basis. A multi-year commitment is required to ensure the effort is sustained and that entrepreneurs developing their business and developing parts of the energy crop supply chain have some visibility over where their sector is going. A standardised grant payment amount was proposed which would simplify the grant process at no additional cost. The current upper limit of 30ha on plantings should be increased or removed – how can we get 1,000s of has planted with this limit in place? A major factor in future energy crop plantings is cashflow – there are no comparable crops where a farmer has to wait at least 3 years before seeing any revenue, and a few more years before reaching the point of breakeven on the original investment. The ideal model is something akin to forestry premia payable for the first 3 years. It was recognised by the stakeholder group that this is not possible through the current EU funding sources, but alternate models must be considered. Apart from having a critical role in meeting our energy targets, energy crops can and will deliver significant job creation and new investment into our economy. There are many other social and environmental benefits to promoting an Irish energy crop sector which are outlined in the energy crop sector report.